It comes amid warnings from senior police officers that the NT has experienced a spike in criminal behaviour from bikie gangs, and that their presence could continue to increase in the Top End. "I don't like bullies," Detective Senior Sergeant Mark Stringer, a 30-year veteran of the force said. "That's what these gangs are all about. They're bullies." Senior Sergeant Stringer heads the Gangs and Organised Crime Task force, a specialist unit that has a key focus on outlaw motorcycle gangs. "The overt violence that goes with outlaw motorcycle gangs has increased in the last couple of years," Senior Sergeant Stringer said. "All the recent stuff in the last couple of years, it's linked to one particular gang, being the Rebels." "The difference between them and some of the other gangs is that they are very aggressive in their recruiting. "With the Rebels it's all about numbers." The Rebels opened a chapter in Darwin in 2011. In the past two years the club has been linked to a series of highly public events. In 2015, Darwin Rebels members bashed the Melbourne Comancheros president, sparking a wave of retaliation attacks in the NT and Victoria. Its club house was allegedly shot at in a drive by shooting in 2016. And last year the club president Andy Summerfield and sergeant-at-arms Shannon Althouse were charged with attempted murder for an alleged revenge attack using tomahawks. The matter is now before the courts. "From what I've seen in my 30 years of policing I wouldn't be surprised if we get more of these gangs looking to set up in the Northern Territory," Senior Sergeant Stringer warned. Controversy surrounding outlaw motorcycle clubs led Queensland and South Australia to introduce tough anti-bikie gang legislation that restricts members from congregating in public and at club houses. The Northern Territory has not followed suit. 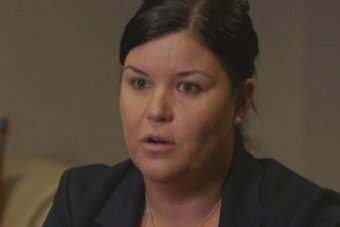 Attorney General Natasha Fyles has vowed to introduce legislation this year to help police in their operations against outlaw motorcycle gangs. "The Northern Territory Government has no tolerance for gangs, outlaw motorcycle gangs," Ms Fyles said. "There are some legislative improvements we are looking towards over the course of the year." But Ms Fyles would not confirm whether new laws would target specific clubs, adding the Government would take lessons from interstate and federally. "I think it's a real balance," Ms Fyles said. "Everyone has the right to belong and be part of an association in a group and we need respect that. But we also need to make sure that is not a cover up for unlawful activity. "We would act on the advice from police on what would help them in a practical sense out on the beat, but also what would stand a test in court." The federal agency in charge of overseeing anti-bikie operations, the Australian Criminal Intelligence Commission is pushing for states to harmonise their laws, suggesting that states cracking down on criminal behaviour can push clubs to other jurisdictions. David (not his real name) has moved within the same circles as outlaw motorcycle gang members since he left a club in the 1980s. He has also been the victim of threats and violence, and wants to remain anonymous for reasons of safety. He warns without tough legislation, more clubs will move to the NT. "I've seen an increase in the amount of clubs interested in coming to Darwin," David warned. "When there are no laws to prevent people associating, people riding together, [like] the Northern Territory, it's only obvious that more and more clubs will view Darwin or the Northern Territory as a viable option." But one South Australian lawyer has urged the Northern Territory not to follow his state's path. "The anti-association laws say, as a direct result of that, there are less bikies in the community," Craig Caldicott from Caldicott Lawyers in South Australia said. "In actual fact, I suspect there's the same number of bikie members as before, but it's forced them underground, and no longer go to club houses, and don't wear club colours." "Police don't know who they are, where they are, at any given time. In fact has made it harder for police members to perform their duty." 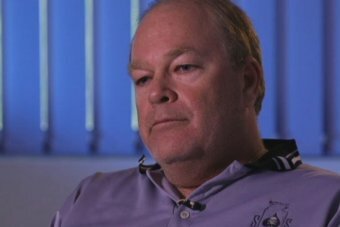 Mr Calidcott added that the issue of bikie violence had been a "beat up", pointing to a Queensland report that found that bikies only made up one per cent of drug-trafficking offences. But Senior Sergeant Stringer warned often the fully-patched club members are not the ones directly involved in criminal activity. "The ones taking the risks or the ones doing the heavy criminal lifting are the ones at the bottom of the pyramid," he said.